Greetings co-op member-owners and friends! We know many of you weren’t able to make it to the annual meeting on October 25, so here’s a quick summary of highlights from this past year of co-op operations. We have much to celebrate! We’ve emerged from this fiscal year in a much stronger position than 12 months prior. 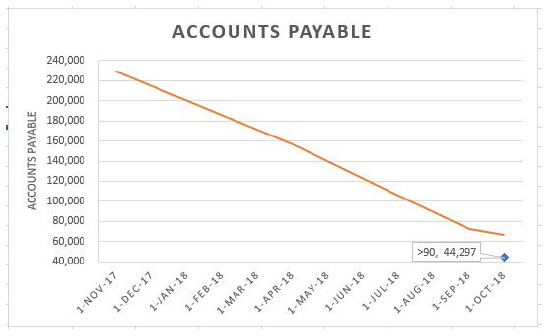 Although sales are down compared to last fiscal year (our fiscal year runs July-June), we've been able to not only meet our financial obligations but also pay down accounts payable. This was accomplished primarily through overhead reduction, careful inventory management, and methodical payment plans. More detailed explanation follows. Our gross sales for the year total $3,290,743. As you can see in the chart, this is down from the previous year, the sales tumbling in August/Sept 2017 (Q1) but slowly climbing back up since January (Q3). Our expenses are significantly down since last fiscal year. The cost saving measures implemented by co-op management in terms of overhead reduction and inventory management have kept the co-op afloat during a difficult period last fall. We started the fiscal year saddled with over $200,000 in debt to vendors. With new management and an almost entirely new board of directors starting in October 2017, we looked to heal those relationships and start payment plans to pay down the debt. Today our A/P balance is $44,000 over 90 days and we expect to have that completely cleared in early 2019. Our business plans did not include a $200,000 vendor debt. Because of this, we have had to refinance our loans with our commercial lenders, who have been more than accommodating in extending interest-only terms through the end of 2018. In January 2019, the co-op will start making principle payments on those loans, the timing coinciding with the expected accounts payable vendor debt payoff to enable a relatively smooth financial transition. In addition, the unexpected vendor debt meant the co-op was unable to set aside funds for the eventual payment of member loans. Because of this, to enable the co-op to make member loan payments without endangering the co-op’s financial position, the co-op will be requiring 2-year extensions on all member-loans. Member-owners holding loans will be contacted, in the order in which their loans were acquired, to outline these extension terms. If you have a loan with the co-op and wish to inquire about the extension, do not hesitate to contact the Board at any time at board@bismanfoodcoop.coop. The best way you can support the coop? Shop the coop! Our greatest need right now is increased revenue, and our co-op staff is more than happy to serve you. New products! We’ve recently added UNFI as a supplier for many of the products you see on the shelves. More meat options! From local to organic to grass-fed, ask Larry, our meat manager, all about your meat options. More local options! From buffalo burger to bath bombs, we’re proud to say North Dakota farmers, ranchers and makers are helping fill more of our shelf space, and we’re committed to continuing that trend. More members! We now have nearly 3,400 member-owners with more joining every week. Despite recent blizzards, our customers have kept coming in the door, keeping our sales steady. We’re chipping away at last year’s overdue payments, too. Thanks to recent grant funding through the Agricultural Products Utilization Commission, we’ve made over $22,000 in direct payments to 20 of our local vendors who have been so patient, carrying our balances owing them while we work through our financial plan. While we are excited that we have been able to pay many vendors in full, we strive to completely pay off all local vendors as soon as possible. Funds have been limited and we have had to make hard decisions, but supporting local vendors remains our top priority moving forward. The board is still very focused on finances to ensure we have a sustainable path forward, but things are looking up thanks to our member-owners and customers shopping at the co-op and making their dollar count. This spring, look for more news and events from the coop coming your way, including our 2nd year anniversary this May - stay tuned for celebration announcements! Finally, the entire coop board would like to express its gratitude to Paul Brown, who made the difficult decision to leave the coop board prior to the end of his term in October, allowing him time to focus on other initiatives. In addition to all the work he puts in as a producer at Nourished by Nature, his countless personal hours invested in the coop operations have had an enormous impact, helping the coop be in the stronger position we find ourselves today. Currently the board plans to leave his seat vacant until board elections later this year. Thank you, Paul! In short, the coop is getting stronger every day, thanks to YOU. The best thing you can do to support the coop is to shop at the coop. See you there! Greetings from the co-op board! After the recent election, we have a mostly new board of directors, who agreed on one of our first orders of business: more transparency to you, the owners. The full meeting minutes are available online here, but we know you’re busy, so we’re going to regularly hit the high points here, on the co-op blog. So how’s the co-op doing? Every business has a tumultuous first year, and the co-op was no exception. However, we’re coming out of it thanks to you, who continue to shop here and support the co-op. Overall gross revenue dipped about 15% in October/November, a tough hit at a time when we are still working to repair vendor relations and catch up on past due bills. Yet even with that dip, our general manager Carmen Hoffner has been able to continue to pay down our accounts payable balance with cuts to inventory and labor costs. As of November 30, we have about $84,000 60+ days past due. If all goes as planned, we should be in the clear by March. Our vendors have been very accommodating, working with us to arrange payment terms that work for both parties. In other news, the board is already working to move us forward. We’re establishing roles, organizing files, completing some paperwork. We’ve implemented a Trello board for better board collaboration and task management. We’re working with ECRS to get better data from the sales system so we can make more data-driven decisions. We have plenty of initiatives and improvements brewing, but right now we’re tying up loose ends with the board transition and focusing on financials to help get us in the clear. Speaking of roles, the following officers were unanimously elected by fellow board members! What can you do? First and foremost, support your co-op! Come in and shop, meet a friend for coffee at the deli, buy gift cards as holiday gifts – a bump in revenue in December will greatly help us clear accounts payable. If you want to get more involved, join a co-op committee. The Finance, Marketing & Outreach, and In-Store Engagement committees are welcoming new members, email the board at board@bismanfoodcoop.com for details. And you are always invited to co-op board meetings, with the next board meeting on Wednesday, December 13 at 6 pm. We credit the past board and the co-op’s hard-working staff for navigating many troubled waters, working to “right the ship” and setting the co-op on a path forward. We look forward to continuing that path forward, looking beyond the past and focusing our energies on making your co-op better today and tomorrow. More to come! One of our primary focuses in recent months has been our search for a new general manager, which in many ways goes hand in hand with addressing the financial challenges we previously communicated to you. We are forced with a bit of a chicken or egg situation where we would like to improve the financial strength of the coop so that we can entice a strong general manager to join, but simultaneously recognize that we truly need a strong general manager in order to fully address the financial issues. We have been actively interviewing candidates, and while we had identified a very strong candidate and have been engaged in significant negotiations, it is difficult for us commit to a significant salary requirement given the financial condition of the coop. That said, our top priority right now is identifying and hiring a new general manager, and we will continue to focus our energy on this goal until we have someone on board to lead us forward. If any members have leads on a strong candidate who might be interested, please have that person contact one of the board members. As a part of our commitment to keeping you better informed, we would like to give you a status report on the financial health of our coop. It is perhaps the greatest challenge facing us right now. The coop is doing very well with respect to increasing sales and revenue, however we are trying to get over one major hurdle: In October, the board discovered that it had not been informed of significant cost overruns for the build-out of the coop, in excess of $300,000. In addition, the board also discovered that numerous invoices had not been properly input into the coop's accounting software, and therefore were not appearing on the profit and loss and balance sheets. Of course, financial hurdles are common to startups, but this was a significant revelation that came at a time when the coop, like most start-up coops, was very vulnerable. Board members and management have been working diligently trying to overcome this unexpected difficulty. There is no doubt that this was serious blow to our financial health and one that is going to take all of us to fix. We have been working with our lenders to obtain extensions and new amortization schedules for coop debt to give us extra breathing room, and have also worked with vendors to obtain payment plans for some of our significant accounts payable that were discovered several months ago, and which the coop has not yet been able to pay down. The current account payable amount is approximately $175,000. While these numbers sound significant, and they are, our sales are equally significant. Recent weekly sales were at $68,000, and are projected to increase to $70,000. Although we are not yet making significant profits with these sales, they are on track with projections for a start-up cooperative such as ours. We are also planning a campaign to bring in new members in the very new future. More details will be coming soon. Presently, the most helpful thing our members can do is to help us increase these sales, and thereby increase our revenue. Small things, such as meeting someone for lunch at the coop, planning meals for a month and buying all your groceries at the coop, and encouraging your friends and family to become members or just shop at the coop can help significantly if we all put in that effort. We are aware that there are still a number of people in the community who haven't had a chance to visit the store yet, so encouraging friends and family to check out all that the store has to offer could particularly make a big difference. We continue to dedicate ourselves to the future of your coop, and we are doing our best to make it a place you are all proud to call your own. Basin Electric Power Cooperative shared this video clip at their 2015 Annual Meeting. The power of Cooperatives is incredible and they have been a huge part of the food co-op's success. They truly embody the Cooperative Principles, especially Cooperation among Cooperatives and Concern for Community. Thank you , Basin! We met our Capital Campaign goal!! BOOM. We're there. $23k in one day AND we've welcomed almost 40 new member-owners in the past few days. You. guys. rock. Join us in celebrating tonight at Laughing Sun Brewing from 5-7pm to "Toast Your Co-op" and order some wood-fired pizza from our friends atFIREFLOUR PIZZA!! We will have a larger, all-ages celebration at our site later in October. Thank you to everyone who has carried us over the last few months. We love our members and we love you, Bismarck-Mandan! Awesome news alert: The Bismarck Cancer Center is joining the ranks with Basin Electric Power Cooperative and is participating in our employee wellness program. They are contributing $50 towards every employee who wants to become a member-owner of the food co-op!! Interested in offering a cool perk to your employees while helping us grow our membership? It's a great co-opportunity! Call Heidi at (701) 202-3167 Cooperation for the win. We've always been pretty optimistic here at the co-op. We believe in our vision and mission, and our cooperative has 950 member-owners affirming the value we see in this project. But this week we received some disheartening news. Our lead lender has backed out because of three primary concerns: 1) The project's limited collateral 2) No guarantor for the loan 3) our capital campaign coming up $150,000 short of the equity goal. Commercial loan: We are working with another lender that is familiar with food co-op start-up's.Cooperatives are difficult to finance because there is no one person or small group of primary shareholders to guarantee the loan. The commercial loan would be much easier to secure if we had a supportive member willing to guarantee the loan on the Co-op's behalf. Site: We were granted one final 30-day extension on our site but each extension has cost us money so if we don't reach our goal this month, we will lose our site and our co-op will likely be dissolved. Why does it cost $2.5 million to start a Food Co-op? Our vision is to have a full line grocery cooperative and we are committed to that vision. We're talking a full-scale deli, salad bar, meat dept., produce, dairy, bulk items, health and beauty, and so much more. Three reasons food co-op's fail: too small space, wrong management, under-capitalized. Our project has enough retail space for a full line grocery store and our $2.5 million start up budget ensures that store is properly capitalized. Setbacks are typical and we are not the first food co-op to face challenges with financing. Having said that, if this Food Co-op is going to happen, we need to make one more equity push over the next 30 days. This is it, Bismarck-Mandan. If we want a world class food cooperative in our community we have 30 days to make it happen. Anyone on the fence about becoming a member or investing, waiting to see if this is a "Go" or "No Go" -NOW IS THE TIME TO GET OFF THE FENCE AND INVEST. We know those people are out there and we cannot stress the importance of you stepping forward to make an investment in good food and community. Thank you to those who have already invested. All member-owners will be receiving a letter in the mail about 2 upcoming events in September and a call to action. The first event is to make a final push to raise the remaining funds, the final event will be a member celebration when reach our goal! We have worked so hard over the past 3 1/2 years. Please help spread the word. I am very excited to be your GM for the BisMan Community Food Co-op! Recently I attended the Consumer Cooperative Management Association (CCMA) in June in Boise, ID. This is the biggest co-op conference in the nation and I had the opportunity to meet with several other GM's from all over the U.S. The total scope was made clear to me as to how big and fast this Co-op movement is… there were 75 Co-ops represented from all over the U.S. In meeting with a lot of the fellow representatives and attending the breakout sessions, I learned about the “do's” and “don’ts” of co-op operations. 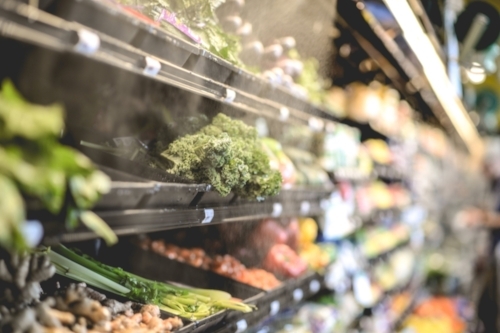 The BisMan Community Food Cooperative is committed to providing a grocery shopping experience reflective of our community’s commitment to health and wellness. As we look at the fore mentioned mission statement and the 3 guiding principles we are reminded of the vision that these founding members had and know that it will soon be realized! As your GM, my driving principle is to start with the end in mind. Well, the end is in sight now that we have a location which we will start to remodel in August! We have an exciting floor plan which will soon be finalized. In mid July we will start to meet with local farmers, producers, and ranchers and to establish and asses our base of local products. Then we'll begin to lock in our regional and national suppliers. In September, the Board will meet to set up some buying standards/product policies and Governing practices. 2. Our goal is to open with 1200 member/owners, we are getting there! In conclusion, I have been to both Wholefoods and Trader Joes, and although they carry a lot of natural, organic, and specialty items, they are not locally supplied and they don’t put money back into the community. This is where we, as your locally owned food co-op, will excel. The market is ready for the Co-op so lets get more members and get the Community ready to support the Co-op! We rang in the new year with 700 member owners! In early December we challenged the community to help us gain 25 members in 25 days. And WE DID IT! Happy New Year to all of our members and we thank you for helping us grow. As of today, February 11th we have 720 members!